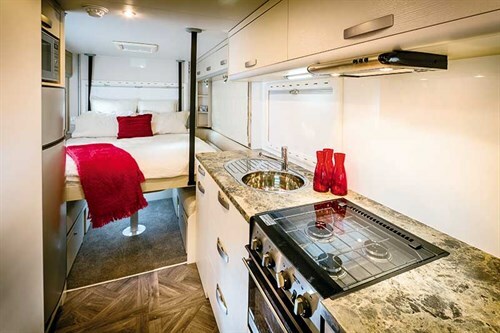 TrailLite recently started seeing something of a new trend emerging in the motorhome market and the internal design of the Matakana 550 is a direct result of that. Check out our review. The trend in question is that long-time motorhomers are actually looking to downsize their vehicle. 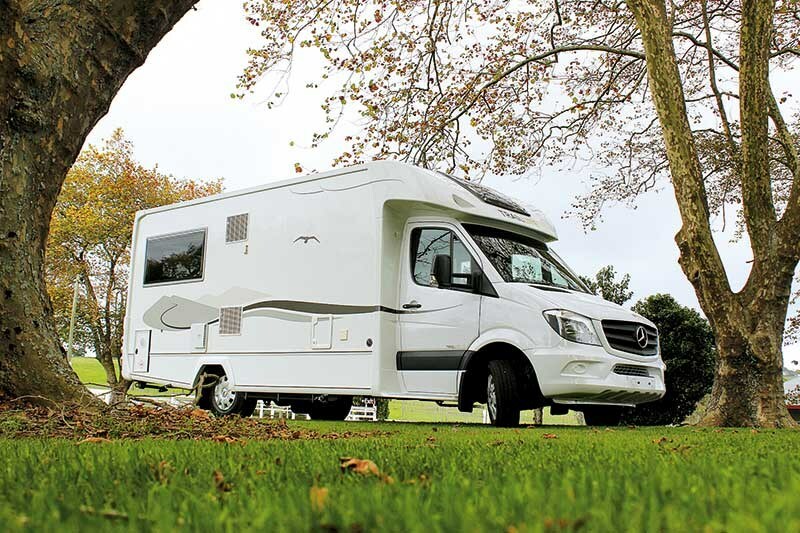 With the kids well and truly making their own tracks and even the grandkids getting to that charmingly awkward age where camping with Grandma and Grandad isn’t quite as cool as spending summer holidays on the beach with friends, TrailLite’s Rob Deed says many motorhome owners face a conundrum. 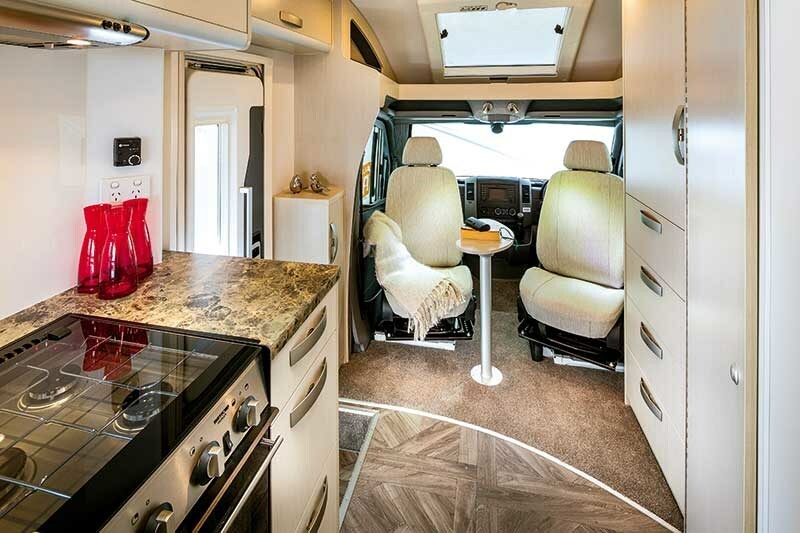 "We started speaking to long-term TrialLite customers and more and more we realised that, after years of spending quality time in a roomy larger vehicle with a decently proportioned rear lounge and bed over the cab, the idea of losing that lounge area when downsizing really didn’t appeal. "Our design team thought about this for some time before asking, ‘What if we have a queen bed that drops down over the lounge area electronically, but is up out of the way during the day’? There was interest in this idea from our clients immediately," he says. The design team set up a test bed and mechanism on a jig in the factory to make sure everything would work as planned. "Initially we had a single motor that would raise and lower the bed, but this was running close to its current limit for weight," Rob continues. "So for production we installed two motors that draw half the current. This means both the raising and lowering operation is much smoother too." TrailLite sampled different cables before settling on the production spec straps placed at each corner of the bed. Rob says the straps are incredibly strong and they’ve tested weight limits with three of the workshop’s burliest team members on the bed at once; "So we know it’s good for a couple of hundred kilograms-plus," he laughs. 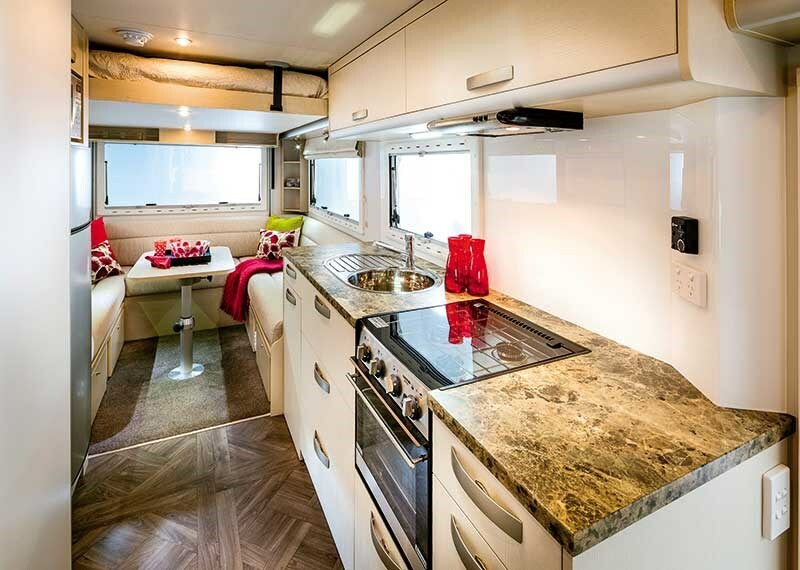 The Matakana 550’s rear window is double-glazed like the rest of the motorhome’s glass, but now features the added benefit of being able to open, as the side windows do. The result is exceptional, with a welcome through-breeze in summer making this social space like an outdoor room. Oh, and that compression stand the dining table sits on also means it can become a coffee table during the day, which is a convivial touch and serves to make the Matakana 550’s interior feel that much bigger. The kitchen offers a large swathe of bench space, plenty of cupboards and the expected appliances, including a compact oven with built-in grill and three gas hobs; stainless steel microwave; and a three-way, 190-litre fridge/freezer. Matakana 550 buyers have the choice of two different kitchen surface treatments and four different upholstery options. If the fit and finish of TrailLite’s build process ever had a perfect companion, it would have to be the solidly reliable reputation of Mercedes-Benz engineering. 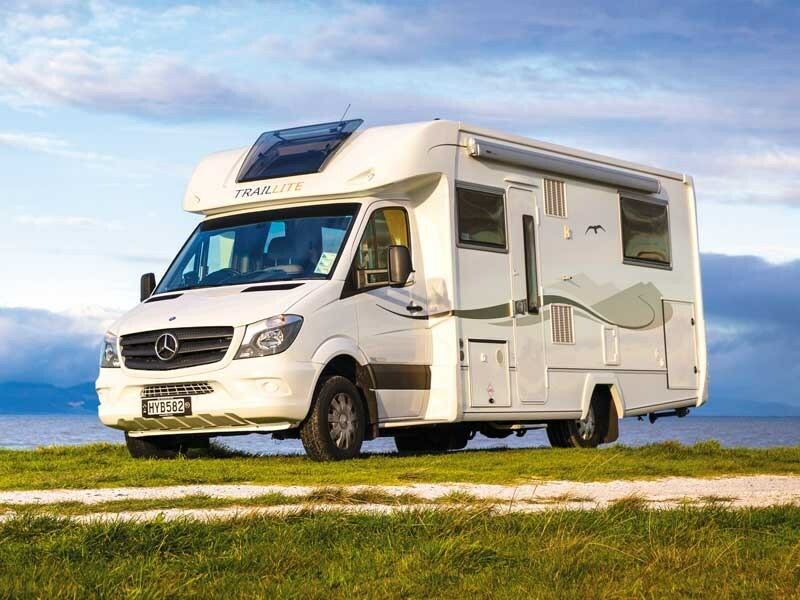 The Sprinter base the Matakana 550 sits on offers drivers a five speed automatic gearbox (a seven-speed automatic is also available in the Sprinter 519 model) and rear-wheel drive for improved traction. There are two choices of Euro 5 compliant engines; offering either 120kW of power and 360Nm of torque, or a 140kW/440Nm tune. There are plenty of features to make the back-road trip that much safer for the driver and passenger, including airbags, Bluetooth hands-free calling, electronic stability control, cruise control and a reversing screen with dual cameras. 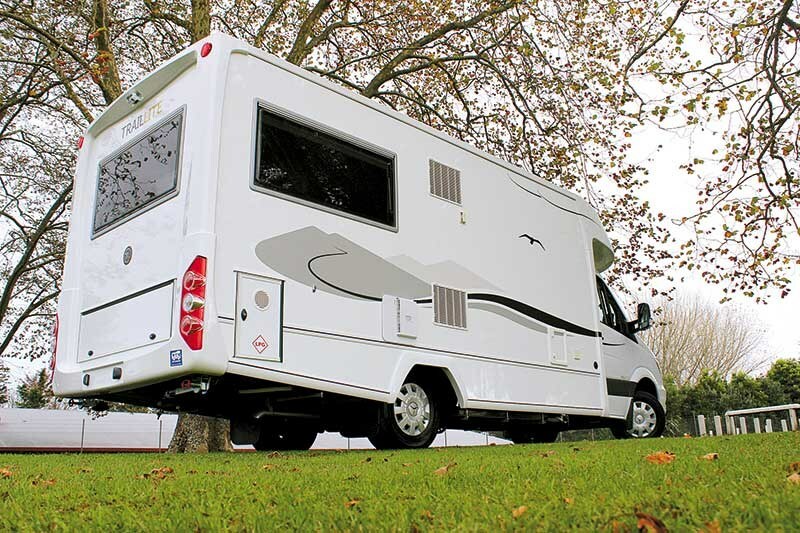 The Matakana 550’s unique bed setup gives you all the space and comfort of a traditional low-line motorhome with a full lounge at the back. But instead of having to head up steps into a bed-over-cab, this bed comes down to you. "The more people see this configuration, the more popular it seems to get," concludes Rob. Interior feels large during the day, despite the compact footprint. Drop-down dining table becomes a coffee table with minimal fuss. A rather unique proposition in the market. Drop-down bed configuration won’t appeal to everyone. You need to be strategic about what goes in overhead cubbies that sit behind the bed frame when in the raised position. Check out the full review in issue #131 of Motorhomes Caravans & Destinations magazine (on sale now!). Subscribe here. Bill Savidan reviews the latest release from TrailLite's classy Landmark series.